The UK’s new political landscape is taking shape with a massive landslide towards the SNP in Scotland and a strong performance from the Conservatives that sees David Cameron on course to win a slim majority in the House of Commons. Alex Salmond, who is heading back to the Commons after taking the Gordon seat, said “the Scottish lion has roared” after the SNP won 56 of Scotland’s 59 seats. The party’s unprecedented surge, a rise from six seats in 2010, was “an extraordinary statement of intent from the people of Scotland,” he added. Labour, the Liberal Democrats and the Conservatives took one seat each. Lib Dem leader Nick Clegg announced his resignation on Friday morning after his party suffered significant losses across the United Kingdom. 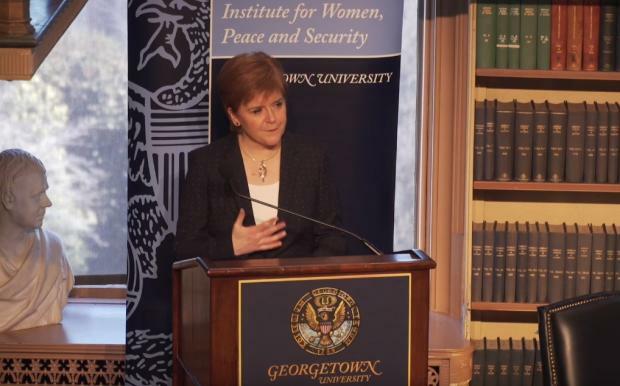 SNP leader and First Minister Nicola Sturgeon said: “Labour has been losing touch with the Scottish people over many years now and tonight the Scottish people have put their trust in the SNP to make Scotland’s voice heard and to stand up for progressive politics, and that’s exactly what we intend to do. “My message to people who voted for the SNP and to those who did not vote for the SNP, the SNP won’t let you down. We will seek to be Scotland’s voice and we will make sure Scotland’s interests are protected. As the Conservatives closed on a majority, Downing Street said David Cameron would meet the Queen at Buckingham Palace at 12.30, before attending a ceremony at the Cenotaph to mark the 70th anniversary of VE-Day. Mr Cameron all but declared victory in a speech after being returned as MP for Witney, setting out his intention to press ahead with an in/out referendum on Britain’s membership of the European Union and to build on the economic foundations laid by the coalition since 2010. He made clear he was determined to fight for the union, saying: “I want to bring our country together, our United Kingdom together, not least by implementing as fast as we can the devolution that we rightly promised and came together with other parties to agree both for Wales and for Scotland. The Tories will have just one Scottish MP after David Mundell held his Dumfriesshire, Clydesdale and Tweeddale seat. Scottish Labour was almost wiped out across the country, with leader Jim Murphy and former shadow foreign secretary Douglas Alexander both losing their seats to the nationalists. Mr Alexander was defeated by 20-year-old candidate Mhairi Black, who overturned a 16,000-vote majority. 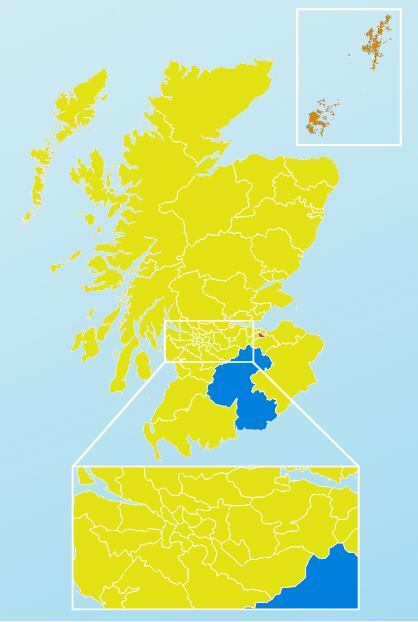 Across the country formerly safe Labour seats quickly fell with 39 of their 40 constituencies going to the SNP, who also claimed 11 of the 12 LibDem seats. Labour’s Ian Murray will be his party’s sole Scottish MP after he held his Edinburgh South seat against SNP challenger Neil Hay. Ed Miliband said it had been a “disappointing and difficult night” for his party and claimed Labour had been “overwhelmed by a surge of nationalism” in Scotland. Mr Miliband made no comment about his own position as he left for Westminster, though senior figures including veteran former minister Jack Straw said he would have to “make up his mind about his future” as party leader. Alistair Carmichael was the sole Liberal Democrat to save his seat, winning in Orkney and Shetland. However, former party leader Charles Kennedy failed to hold the Ross, Skye and Lochaber seat which went to the SNP’s Ian Blackford. And the SNP’s Drew Hendry handily defeated former Treasury secretary Danny Alexander in Inverness, Nairn, Badenoch and Strathspey. Across the UK, the party suffered savage losses with senior figures including business secretary Vince Cable, energy secretary Ed Davey and justice minister Simon Hughes ejected from the Commons, although leader Nick Clegg held his seat in Sheffield Hallam. Announcing his resignation, Mr Clegg said: “I always expected this election to be exceptionally difficult for the Liberal Democrats, given the heavy responsibilities we’ve had to bear in government in the most challenging of circumstances. The HTC One M8s is a halfway house between the One M8 and One M9.